Welcome to Estrella Insurance located on North State Road 7 and Sheridan Street. We provide all insurance needs for a diversified client base in Hollywood; Broward County, FL. 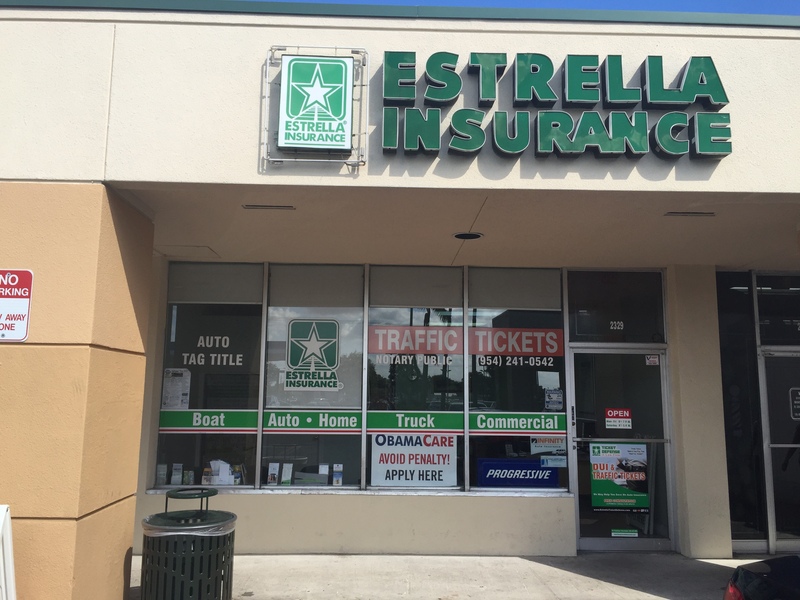 Bienvenido a Estrella Insurance localizado en North State Road 7 y la calle de Sheridan. Ofrecemos diferentes tipos de seguro para su Auto, Barco, Casa y Motocicleta en Hollywood ; Broward County, FL.